A cold war thriller packed with psychological intrigue, The Manchurian Candidate dances artistically on the nerves of a home front confronting an unseen and therefore omnipresent enemy. 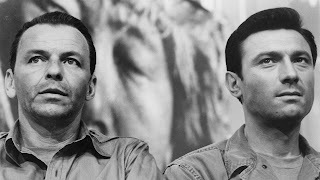 In the Korean War, Sergeant Raymond Shaw (Laurence Harvey) and his platoon, including Major Bennett Marco (Frank Sinatra), are lured into an ambush, captured by the enemy, flown to Manchuria, and subjected to sophisticated Russian mind control techniques. Shaw and his men are brainwashed into believing that Shaw is a war hero deserving of the Medal of Honour. The reality is that Shaw has been programmed by the communists to kill without emotion, once he is triggered into accepting commands by exposure to the queen of diamonds in any deck of cards. Back in the United States, Marco and other men in Shaw's platoon start to have nightmares about their brainwashing experiences. Marco befriends the sympathetic Eugenie (Janet Leigh), and turns to his army commanders for help in deciphering his nightmares, Meanwhile, Shaw is activated as a communist assassination machine. He harbours particular hatred for his conniving mother (Angela Lansbury), a rabid right-wing political activist busy manipulating the career of her dim-witted husband (and Shaw's step-father) Senator Iselin (James Gregory). Mrs. Iselin prods the Senator to instigate a McCarthy-style witch-hunt for phantom communists who have infiltrated the US government, raising the Senator's profile and placing him in contention for the Vice Presidential ticket. Marco has to uncover the mind control conspiracy and help Shaw regain his senses as Mrs. Iselin closes in on grasping ultimate power. 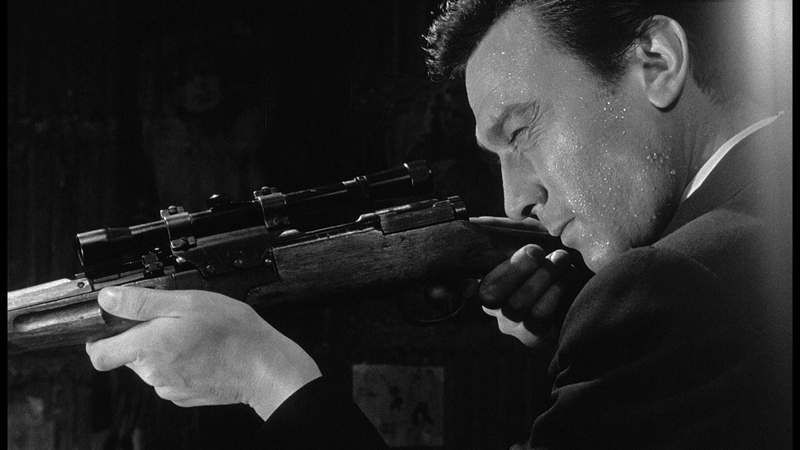 Based on the Richard Condon novel, The Manchurian Candidate is a thought-provoking, complex thriller, expertly preying on the fears bubbling under the surface of the cold war. The threat of advancing communist science is combined with wild McCarthy-style accusations to create the perfect storm of paranoia, programmed killers blended with undercover agents plotting to secretly take control of key government functions. The Manchurian Candidate enjoys a dramatic, unforgettable plot twist, as the communist threat is revealed to be deeply embedded and camouflaged into the United States political landscape. The extreme left and the extreme right always eventually meet in the spherical world of twisted ideology, and The Manchurian Candidate brings this encounter to life as Raymond Shaw is placed under the control of his American controller. Director John Frankenheimer colours the nightmare in black and white and plays with chilling flashbacks, Shaw's soldiers enduring nightmares of their experiences in Manchuria, imagining themselves in attendance at a dreamy gardening club meeting while in fact they are being presented in their brain-washed state to leading Russian and Chinese intelligence agents. Frankenheimer does not back away from sharp violence, the final proof of mind-control requiring Shaw to commit murders in cold blood, the camera capturing the horror of a killing machine carrying out programmed orders. The three central performances are persuasively understated. Frank Sinatra delivers a mature performance as Marco, a man struggling with puzzle pieces that don't quite fit, trying to square his nightmares with his sudden admiration for Shaw, a man who was previously detested by his men for being a rigid disciplinarian. Laurence Harvey is perfectly cold as Shaw, a platoon leader fully aware that he was unpopular, and who also knows that the cause of his misery is a domineering mother. He wears the title of hero heavily, and after the war tries to start a new life before being activated as an assassin-on-command. 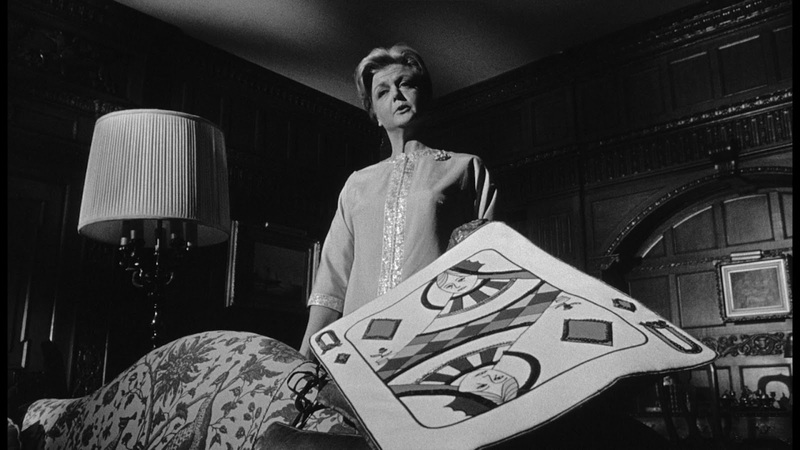 And finally Angela Lansbury is extraordinary as Mrs. Iselin, a calculating, power-hungry woman who demands complete control over her environment, and who is willing to pay any price to achieve victory. Lansbury was nominated for an Academy Award and won the Golden Globe for Best Supporting Actress. Janet Leigh is somewhat wasted in a sketched-in role, while Henry Silva makes an eerie appearance as a North Korean agent who shows up in all the wrong places. The Manchurian Candidate heats up the cold war, with new weapons, old power grabs, and a countdown to an insidious government overthrow.